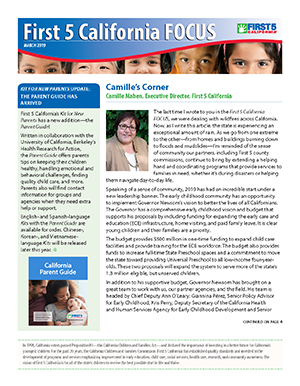 First 5 California regularly issues press releases that contain official information on specific topics, including state legislation, the announcement of new F5CA programs, or calls to action on behalf of children and their families. 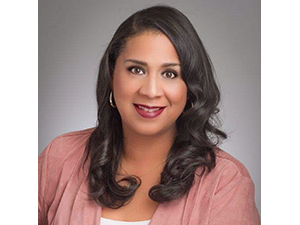 Sacramento – Assembly Speaker Anthony Rendon has appointed Jackie B. Majors, Chief Executive Officer of Crystal Stairs, Inc., to the California Children and Families Commission (First 5 California). 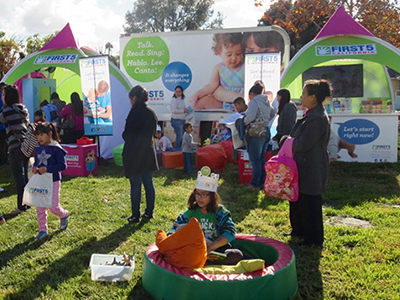 For more than 25 years, Ms. Majors has worked diligently, advancing quality early care and education (ECE) as an educator-businessperson. Sacramento – Today First 5 California Executive Director Camille Maben thanked Governor Brown and the California Legislature, including the Legislative Women’s Caucus and legislative leadership, for prioritizing California’s youngest children and families in this year’s budget through strategic and significant one-time investments in the state’s child care and early learning system. 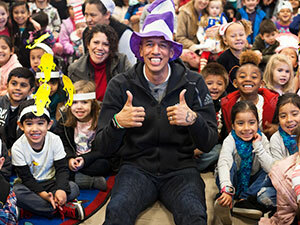 Read Across America is an annual reading motivation and awareness event that calls for every child in every community to celebrate reading on March 2, the birthday of beloved children’s author Dr. Seuss. 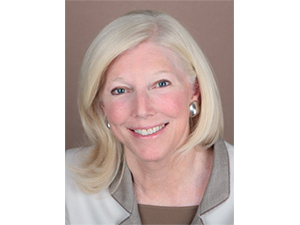 Sacramento – First 5 California, also known as the California Children and Families Commission, welcomes Molly Munger, Co-Founder and Co-Director of Advancement Project, as the newest member of the Commission. 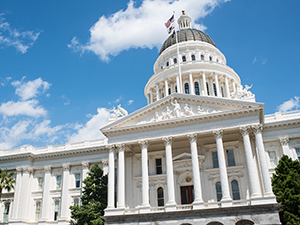 Ms. Munger was appointed to the Commission by Assembly Speaker Anthony Rendon. 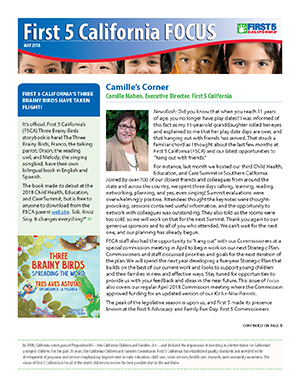 She previously served a term as First 5 Commissioner from 2007 to 2011. 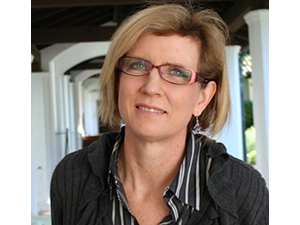 Sacramento – First 5 California, also known as the California Children and Families Commission, welcomes Monica Fitzgerald, associate professor of women's history, civic-learning, and democratic engagement at Saint Mary’s College of California (SMC). 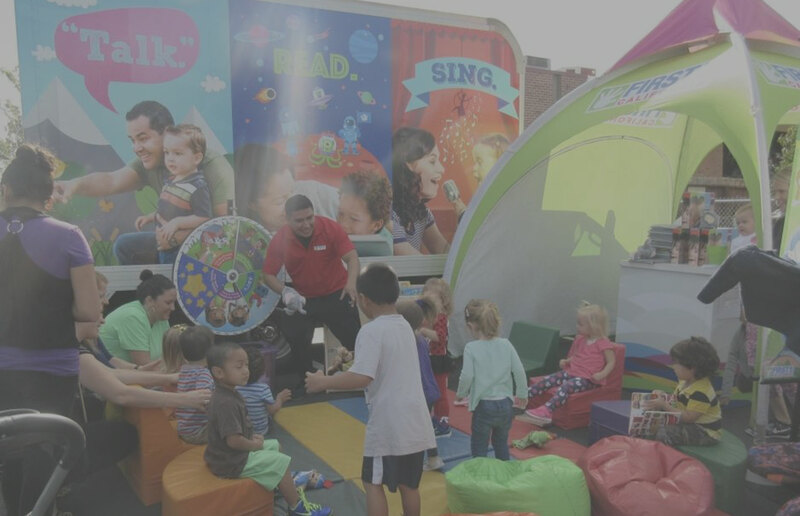 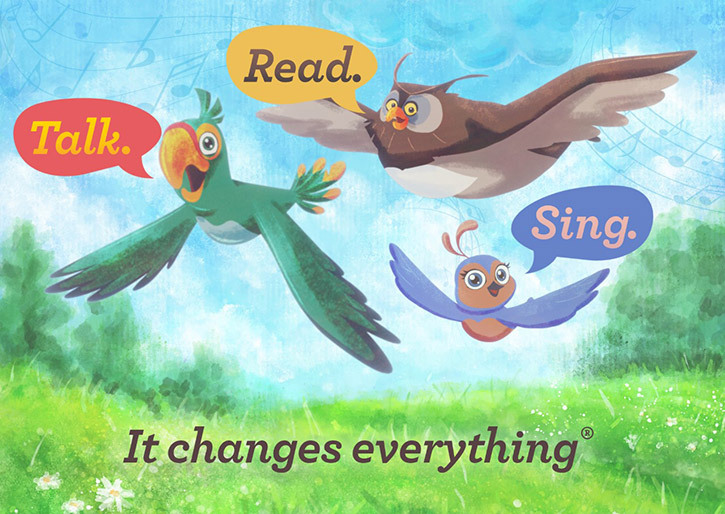 The First 5 Express is a bilingual children’s activity center that travels across California to inspire families to understand the importance of a child’s earliest years and the positive impact they can have on brain development through talking, reading, and singing. 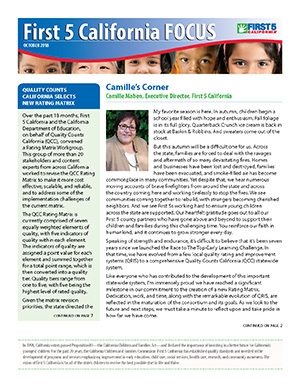 Designed as an internal newsletter, the First 5 California FOCUS has been a regular item, published digitally and produced wholly in-house, on a quarterly basis since 2015. 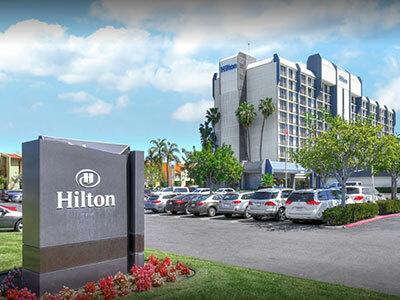 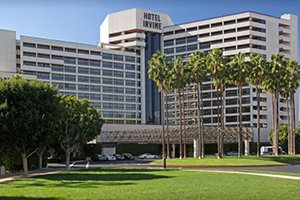 The FOCUS delivers updates on ongoing F5CA projects, Commission meetings, ongoing issues, county-focused items, legislative and budgetary updates, along with programmatic and research-based topics. 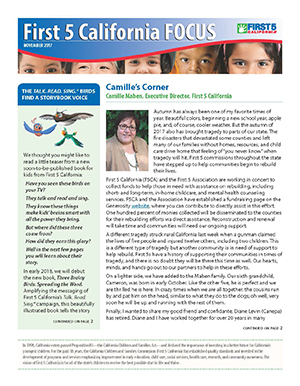 First 5 California maintains a robust Parent Information Website, http://www.first5california.com/, a Twitter feed, and a Facebook page, which provides families with children, ages 0 to 5, multiple resources, fund activities, and other supports.